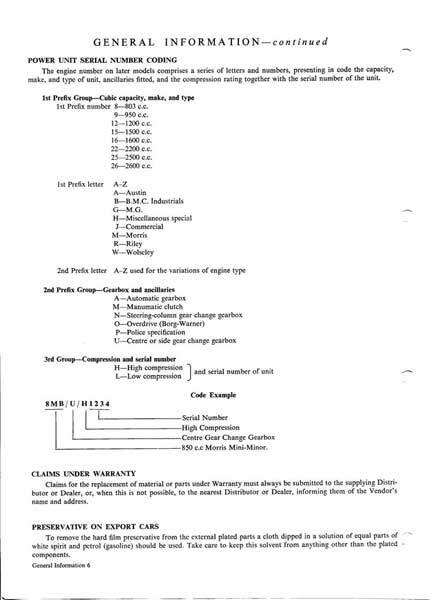 Back to variations menu page. 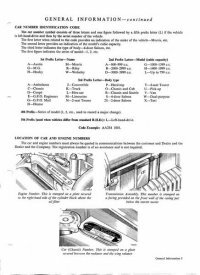 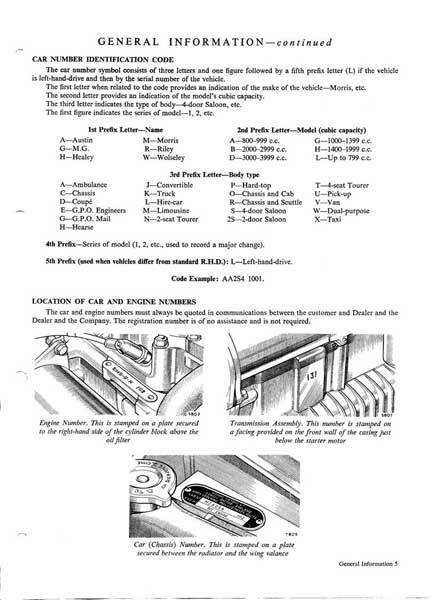 In between Morris body numbers 1248 – 1837 is the start of the inclusion of FE numbers spot welded on to the n/s inner wing above the radiator shroud. The picture on the left clearly no FE number whereas the picture on the right shows FE number spot welded on. 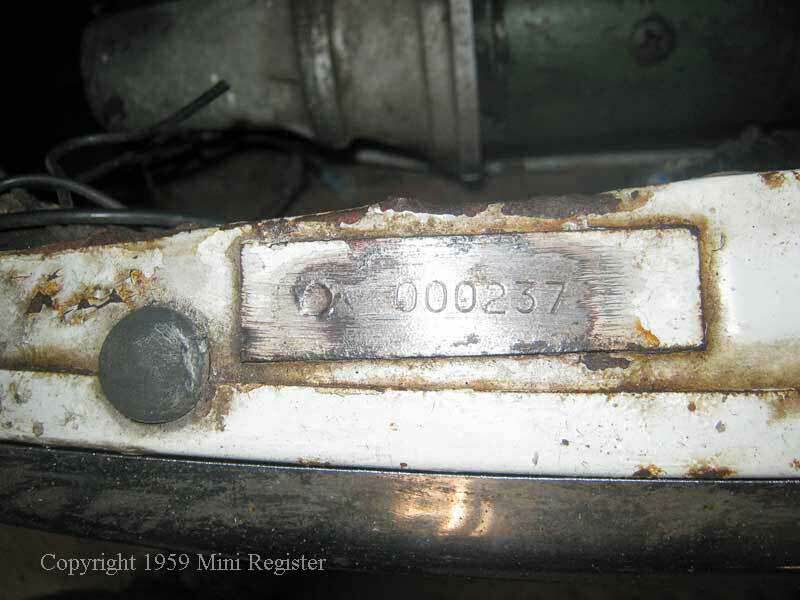 This photo shows an early Morris with a panel number or it could be an early version of the FE number. 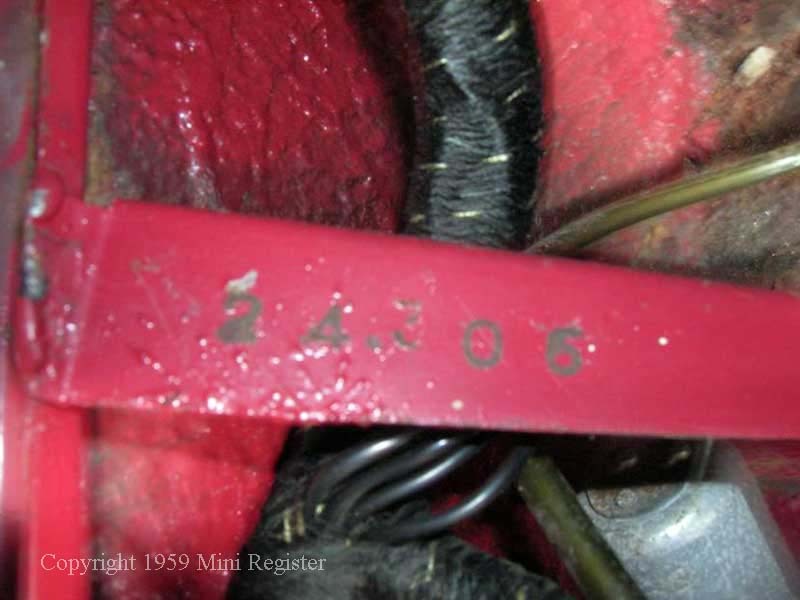 These spot welded tags are also found on Austins but are the body number, body number on Morris cars are in a different place. 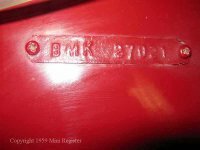 Morris Body number, called a BMK number on a reverse stamped tag secured to the bulk head with self-tapping screws. If it is a pre-mid September Morris it could also have the spot welded tag on the slam panel, this is the early FE or panel number not the body number. 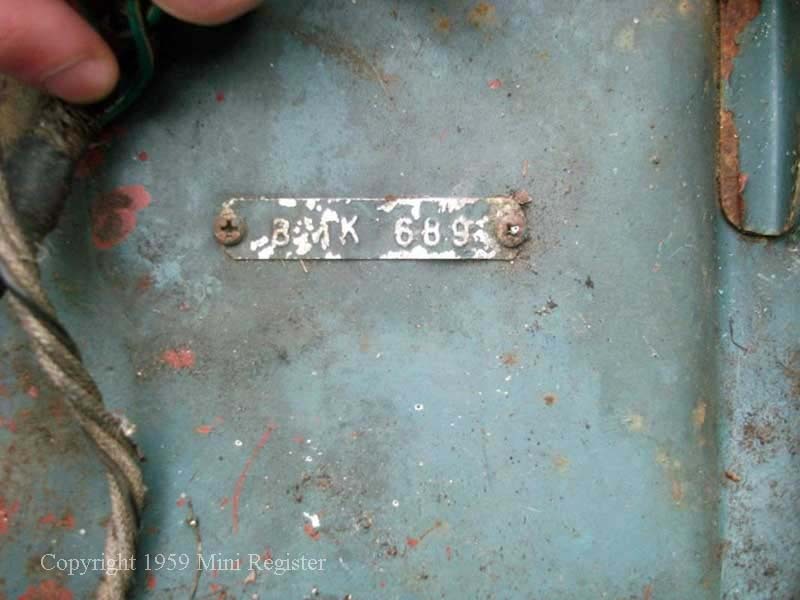 Austin body number on spot welded tag on the slam panel stamped from the top. 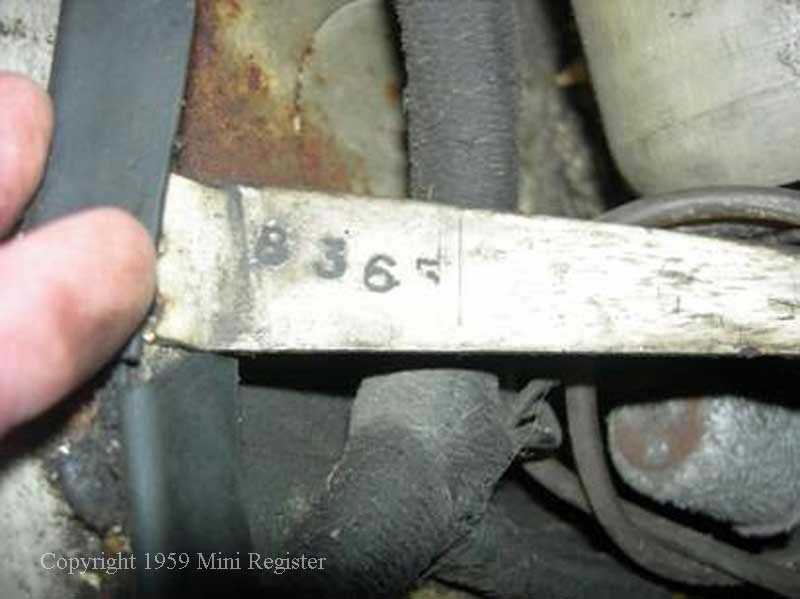 This is not the early Morris FE or panel number. An Austin will not have the screw holes or tag for the BMK number as per Morris. 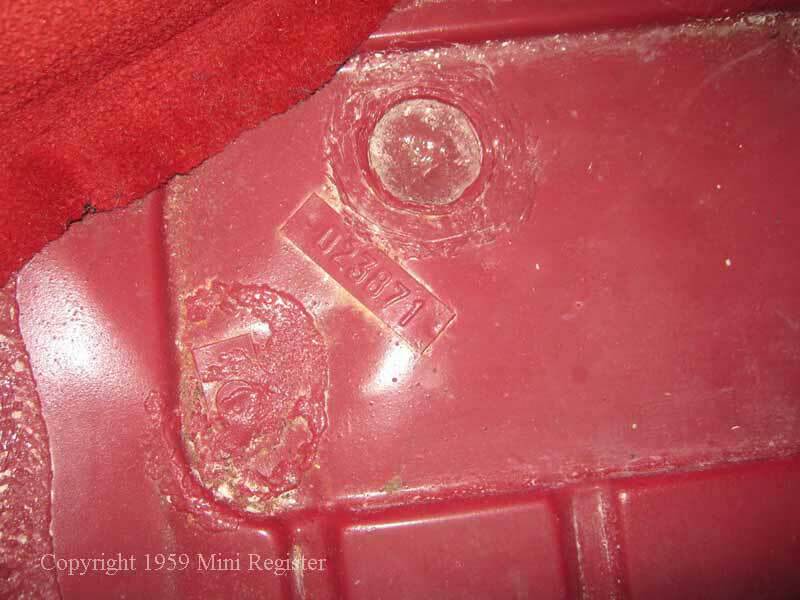 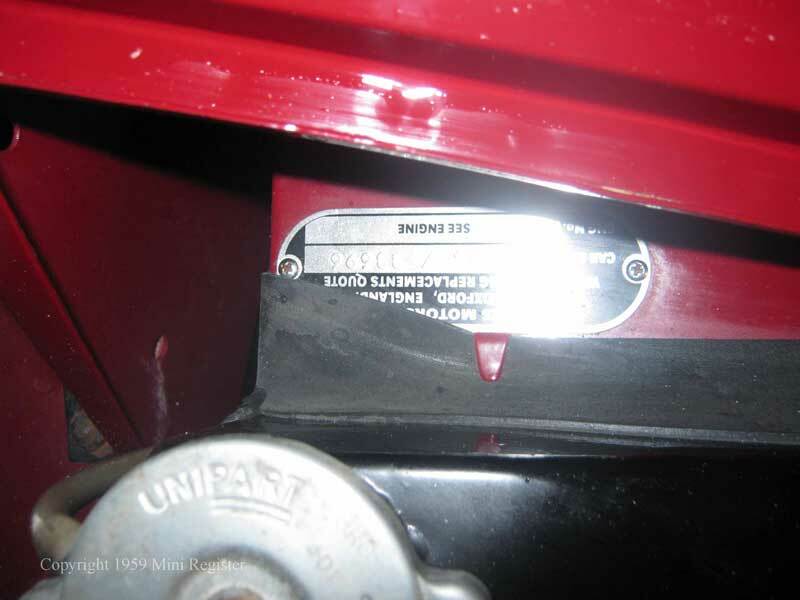 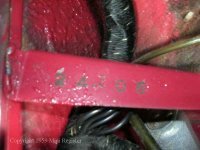 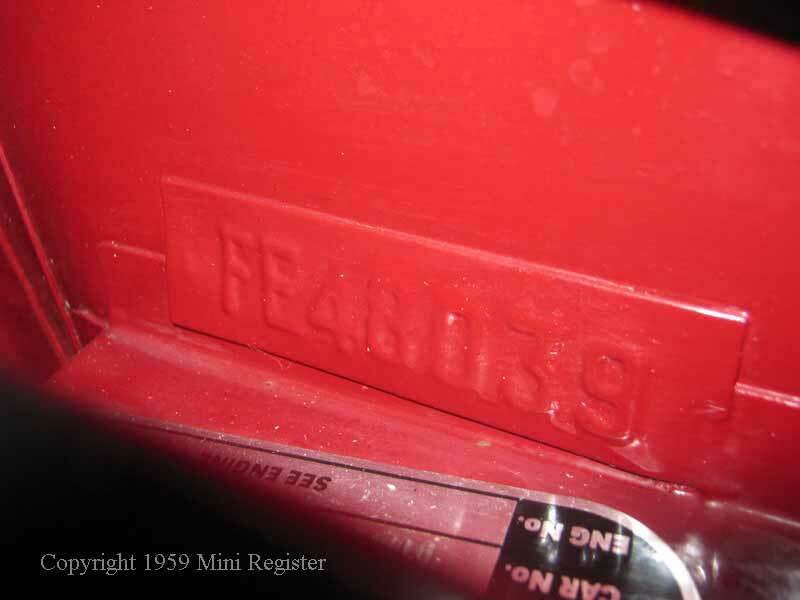 Chassis ( Vin ) Number is attached to the radiator cowling with 2 self-tapping screws as above photographs standard from factory on all UK spec cars. 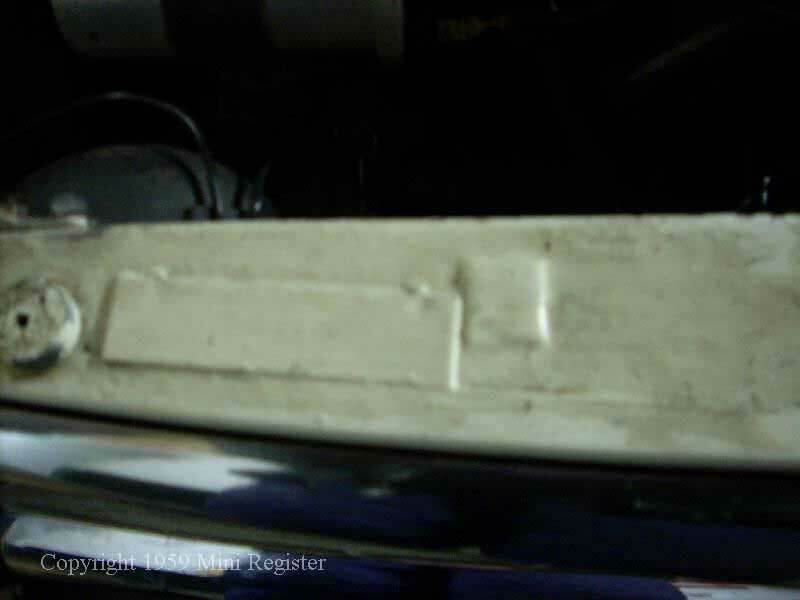 Some export models have the chassis ( vin ) plate attached on the bulkhead or elsewhere. 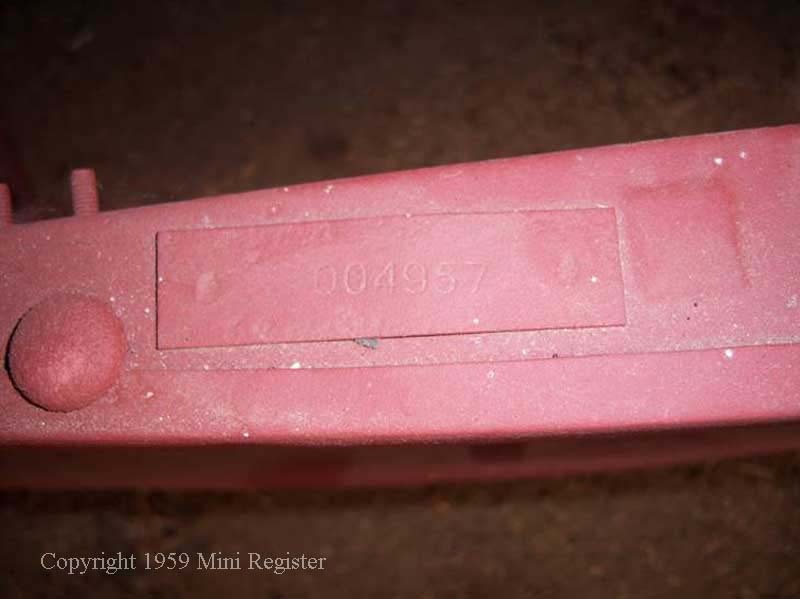 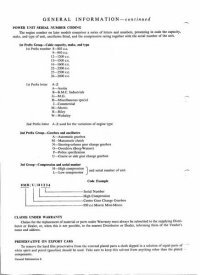 Morris chassis plates say Morris Motors and Austin chassis plates say Austin. 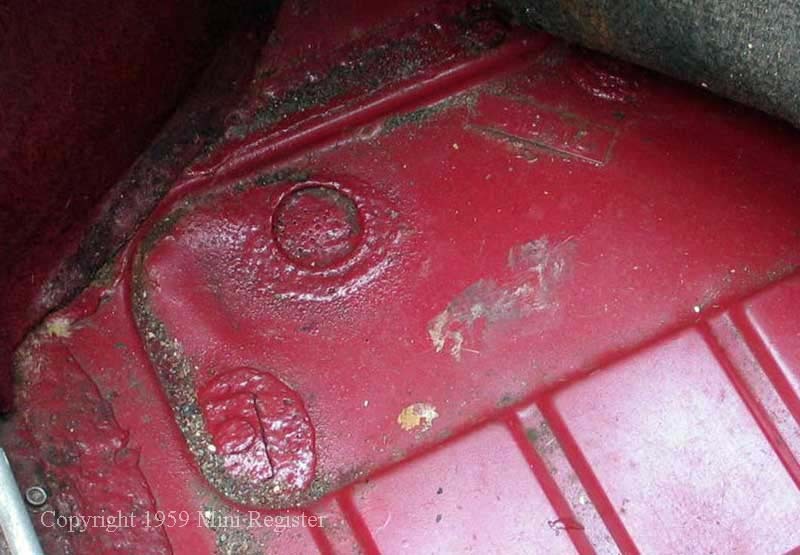 Morris are stamped from above( as per photograph ) and Austins are reverse stamped so the digits are raised. 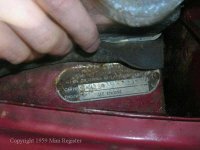 Some cars have their chassis number stamped in to the stiffener between the inner-wing and cross member where the loom passes through. 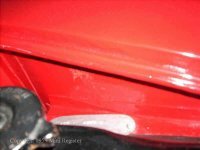 This can be very difficult to see and may require the removal of paint to see. 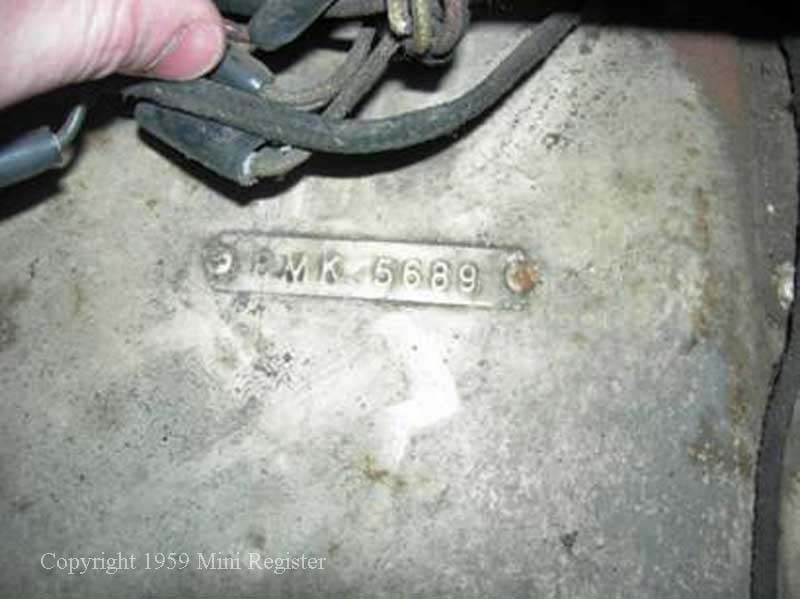 Floor tags displaying numbers, these photographs show original mid-October 1959 floors on two Cherry red cars. 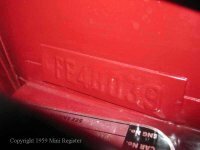 The numbers bare no correlation to FE, body or chassis numbers of the cars they are attached, the floors are one piece pressings yet there is a tag on each foot-well. 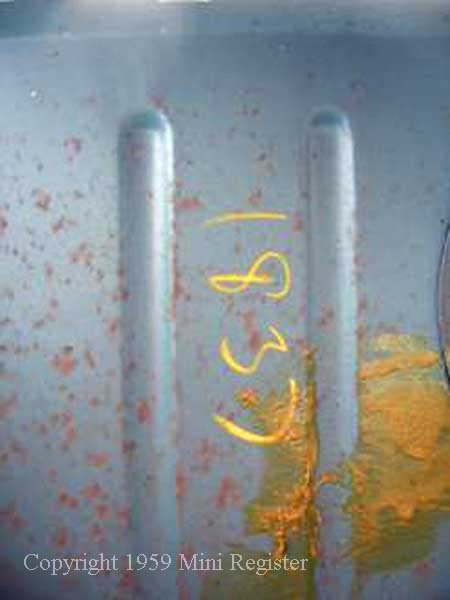 We don’t know the significance of the numbers, can anyone help? This is a mid-September Morris showing the body number in yellow chalk on the rear bulk head. 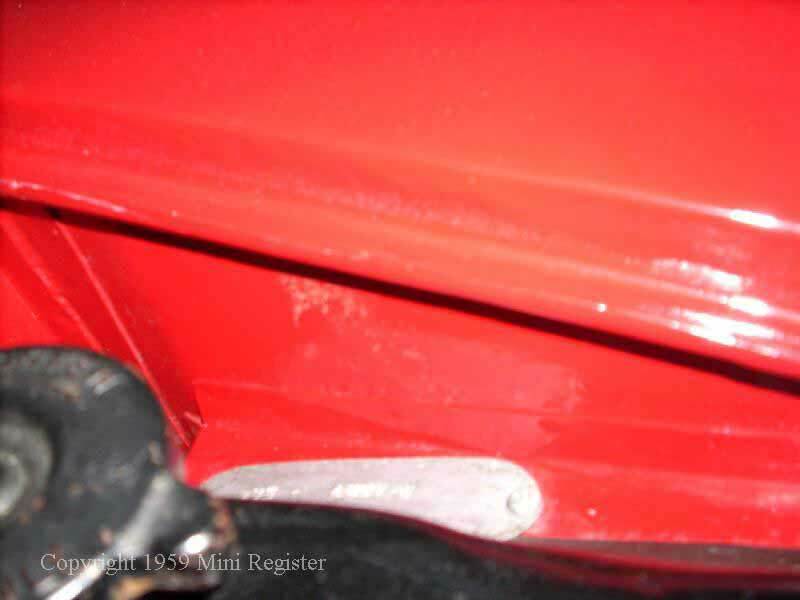 Unusual, but nice to see, this has been preserved on the restored car.